Time Lags in the Climate System | Watts Up With That? Did you ever sit on a hot sand beach and dig your hand down into the sand? You don’t have to dig very far before you get to cool sand … but even though it’s nice and cool a few handwidths down, the fact that it is cool doesn’t matter at all to either the temperature of your feet or to the temperature of the air. The beach air is hot, and your feet can still get burnt, regardless of the proximity of cool sand. I’ll return to this thought in a bit. I’ve been mulling over the various time lags in the earth’s system For example, the peak temperature during the day doesn’t occur until about three hours after noon, and the hottest months of the summer are about a month and a half after the summer solstice. This is because it takes time for the heat to warm the earth, and that heat comes back out of the earth during the times in the temperature cycles when there is less forcing. I looked at that, and I thought, hmmm … a three-hour lag in a 24 hour daily temperature cycle is about an eighth of the cycle. And a month and a half lag in the annual temperature fluctuations is about and eighth of a cycle … hmmm. I wondered if they were connected. So I pulled out my bible, Rudolph Geiger’s much-updated 1927 classic, “The Climate Near The Ground” (Amazon, ninety bucks, yikes!). [UPDATE The commenter ShrNfr notes in the comments that there are used versions of The Climate Near the Ground at Abe Books for prices under $10 … many thanks.] It is a marvelous book, from a time when people actually measured things and thought about them. I have a hard copy, it’s my main climate squeeze. However, while writing this I just noticed that an older edition is available as a FREE DOWNLOAD! (Warning: 23 Mb file, lots of pages of good stuff.) The first edition was in 1927 in German, then a second edition updated in 1941 and translated into English. Harvard University Press published the third edition in 1950, followed by a fourth edition in 1960. All of these were updated by the author. A fifth edition was published in 1995, updated by Aron and Todhunter in honor of the 100th anniversary of Geiger’s birth. The hard copy I have is the sixth edition, 2003. I see the online copy is the 1950 Harvard University version. Get it, either in hardcopy or for free. Read it. Every page is packed with actual experimental results and measurements, real science. 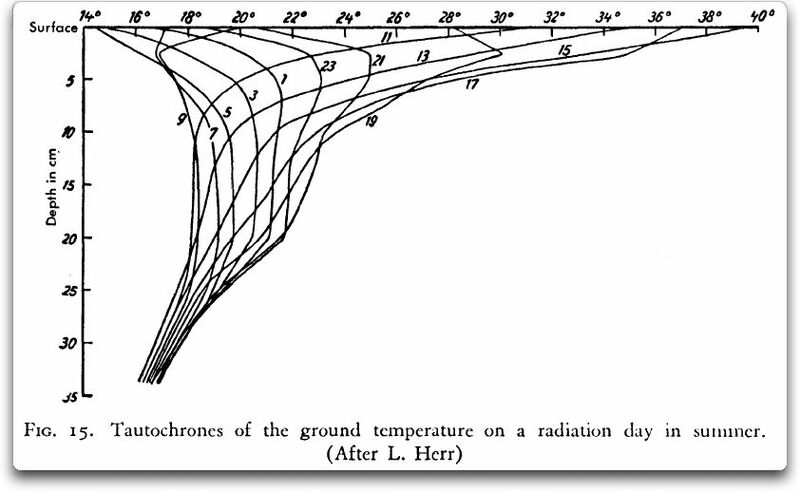 In both the 1950 and the modern versions there is a lovely graph showing what are called “tautochrones” of temperature in the ground. Tautochrones are lines connecting observations done at the same time of day. Figure 1, from page 34 of Geiger’s online version (PDF page 60) or page 52 of the Sixth Edition, shows a set of tautochrones. Figure 1. Tautochrones, from “The Climate Near The Ground”. Numbers on individual lines show the time of day. Vertical axis is depth into the ground, and horizontal axis is temperature. Note that as the temperature wave moves deeper into the ground, a couple of things are happening. First, at deeper levels, the fluctuations are getting smaller and smaller. Second, there is an increasing time lag for the temperature wave to reach greater and greater depths. Geiger provides the following equation that gives the relative size of the fluctuation at a given depth. where log is the natural log to the base e.
There are some very curious and useful things about this result. First, as I had suspected, the lag is indeed a fixed fraction of the length of the cycle. For example, the lag time for the fluctuations of a temperature wave in the ground to drop to half its initial value is 0.11 of the cycle length. If the temperature cycle is 24 hours, the lag time is 0.11 times 24 hours = 2.6 hours. And if the temperature cycle is 12 months, the lag time is 0.11 times 12 months = 1.4 months. Both of these are quite close to the observed lags in the climate system. Next, note that both the depth z and the diffusivity of the ground a have cancelled out of the equation. This means it doesn’t matter if the temperature wave is moving in stone or sand, or even in some mixture of layers of the two, the lag time for a given loss of fluctuation is the same. I definitely didn’t expect that. Next, because there is a direct link between the time lag and the size of the reduction in fluctuations, we can calculate the size of the response if there were no lag. In the case of the climate system, the lag implies a reduction in size of about 50%. This would seem to mean that if there were no lag in the system, the full temperature response would be about twice the response that we currently observe with the lags. In any case, that’s what I’ve learned over the weekend. Sadly, it’s Monday, so I’m heading back to pounding nails. My next investigation will be to use the marvelous CERES dataset to get a better grip on this question. I can look for example at the lags in the land versus the ocean, which is likely what is giving the “fat-tailed” response. Note that my analysis above is only valid for solids. The ocean is different in two regards. First, it is free to circulate thermally, allowing it to lose energy faster than the land. Second, it is not heated just at the surface, but down deeper. However, I suspect that these two differences somewhat counteract each other, so overall it is following the same type of path as the land, but with somewhat different parameters. But that’s just a guess at this point. Finally, I make no overarching claims for this lovely result. I’m still struggling to understand the implications of it myself. As always, I’m just reporting my findings as I come across them. Man, I do love settled science … there are so many unanswered questions. For example … is it just a coincidence that the time lags in the climate system are about equal to the lag time for the fluctuations to reach half of their original value? I suspect that it is not a coincidence, that it is true for any cyclical system in thermal balance. This is because in thermal equilibrium, the amount of heat coming out of the earth has to equal the amount going in, which I suspect relates to the fluctuations falling to exactly half their initial value … but so far I don’t see a way to demonstrate that. PPS—And yes, I’m sure that there are folks out there who knew this all along … but I didn’t, which is why I’m discussing it. ‘pound nails’? Are said nails being pounded into innocent little ‘Climate Science’? Also, this inquiry is scientifically useless because there’s no parameterized supercomputer model of all the soil on Earth. Most of the visible light spectrum is absorbed within 10 meters (33 feet) of the water’s surface, and almost none penetrates below 150 meters (490 feet) of water depth. Since the warmer water is less dense (and it is warmest at the surface), the mixing is not driven by buoyancy, but only by wave and current action. The vast majority of mixing generally is limited to a couple of hundred m, but a very small amount continues to near between 200 m and 700 m.
It is not because it “takes time to warm the earth”, it is because “it takes long for heat to leave the earth”. Heat is stored in rocks, sand and stone, which loose temperature slower than the reduction in incoming energy. For several hours the earth retains enough heat energy to shift the peak temperature beyond the actual peak influx of energy from the sun. This is not only true for each day but also for each year, when the heat stored during summer months is enough to shift the temperature maximum beyond the maximum solar influx. However, while writing this I just noticed that an older edition is available as a FREE DOWNLOAD! This is because it takes time for the heat to warm the earth, and that heat comes back out of the earth during the times in the temperature cycles when there is less forcing. Did you mean slower ? The thermohaline circulation is around 1000 years long. On the other hand such circulation at the surface allows faster evaporation so perhaps you had that in mind. Anyway, I think we have multiple lags in the oceans individually around the world and in the global oceans combined. “Also, this inquiry is scientifically useless because there’s no parameterized supercomputer model of all the soil on Earth. Sorry for my lack of clarity, I was referring to energy gains and losses in the mixed layer. Because it overturns nightly, it can bring warm water to the surface to cool by radiation. This speeds up the energy loss. However, this is counteracted by the larger thermal mass and the depth of the warming. I haven’t done an analysis of that yet, it’s one of the things suggested by this analysis. Isn’t there a relationship with the lower levels when it comes to how quickly or slowly the surface cools, or rather how quickly the surface ceases to heat the atmosphere that it touches? I have noticed how quickly a sand beach cools down while a nearby tarmac road or brick wall is still giving off heat after dark. I’ve thought this is why deserts are cool at night as there is very little stored heat in sand. To the climate of the Northern Hemisphere an 11 lag between summers Icelandic Low and the AMO is of critical importance, and yet it is known only to few casual readers of the WUWT, while the climate science and the ‘experts’ are blissfully ignorant, the reasons for its existence are even more obscure. I’ve always wondered about this. When people talk about the surface temperature of the earth what exactly does that mean. It seems like surface *AIR* temperature is merely a proxy for the true surface temperature of the earth. Let’s next ask if we need to factor in the temperature of the ocean depths and ocean crust, to get an estimate of the surface temperature of the earth. If you look at trends this might not be important, but whenever I see people doing that elementary zero dimensional model of the earth’s surface, I wonder if they don’t overestimate when they say the average surface temperature of the earth is 12, 13 or 14 degrees C.
Wow, Willis, the man with a hammer nailing the ’cause’ to the wall. Willis, I enjoy your posts. You combine observations, reasoning, and common sense as well as clear and understandable presentations. These charastics are missing from those pushing the ’cause’. I think deserts are cool at night because there is very little greenhouse gas (water vapor) to slow the heat transfer to space (CO2 being a trivial greenhouse gas). The equation for temperature profile into the ground is the “Error Function”, which is the generic solution for the convective boundary condition on the surface of a “semi infinite” solid (conduction) boundary. so yes, the type of soil has a huge bearing on the heat holding capacity. early morning down here ! Another interesting topic. In other fields ‘diffusivity’ is called ‘thermal transfer coefficient’ and is measured in W/(m2K). As you know, temperature is not heat. I hope you’re not really pounding nails. I have an extra paslode cordless if you were not joking and are serious about getting work done. Is there a source or reference that I could read to explain the causes of high and/or low pressure systems and why they tend to move or remain stationary? The thought came to mind again while reading link to your post above. It’s that inquiring minds need to know stuff again. 11 of what unit of measure? I think this is years if I remember what I saw of your work in the past. Ok, just confirmed that by visiting the provided link. 11 year lag. Nice work as always. It’s been a few years but you might recall an exchange of e-mails from a few years back about a thought experiment (The Concrete Earth). IIRC, you sent me a chart of albedos of various natural surfaces… not sure if it was from the book you mention here. Anyway, I think I finally found a source for how to model what we were discussing (i.e. surface and subsurface temperature profiles for various natural surfaces vs. manmade surfaces). Hope all is well – keep up the good work! I keep looking at this temperature graph taken during a solar eclipse. Gradually and finally people start to catch up with what climatology understood, taught and was researching 30 years ago. It speaks to my charge that the IPCC has set climatology back 30 years. All of the issues discussed here were included in the textbook I was involved with in 1989. I used to tell my students a lab experiment would prove insolation doesn’t penetrate far into the ground by quickly pulling up worms and measuring how quickly they reacted by blinking. Lags speak to the ongoing problem of climatology – cause and effect. Maybe soon we will hear about the lag between Earth’s peak Gaussian strength and temperature, daily and annually or the many other lags that require investigation and explanation. If you want a good overview you might begin with Oliver and Fairbridge’s Encyclopedia of Climatology published in 1987 and a far better more complete and up to date summary than all the IPCC Science Reports combined. It is going to take a long time to wash of the stink of politics. If and when we do we will find that we have even less data than 30 years ago because in order to achieve their political science they adjusted, threw out, truncated, or lost, large amounts of data. They closed data collection sites so even if re-established them continuity is virtually impossible. I am glad Willis is acknowledging the work of Geiger. Let me add to the list the names of Thornthwaite, Penman, Budyko, Herman and Goldberg, Imbrie and Imbrie, Claiborne, Eddy, Douglas, Koppen, Grove, Libby, Labitzke, Van Loon, Emiliani, Bryson among many others and of course, Lamb who must roll in his grave at what happened at the Climatic Research Unit. I am glad Willis is doing this, but it is too little too late. The public have moved on. The only lag left is between final exposure of what the IPCC have done and complete withdrawal of funding. Ever try a pneumatic ‘palm nailer’? Easiest way to drive 16’s or 20’s if you need ease of use and accessibility. Use bulk nails and takes about 3 seconds to sink a 16. So far I haven’t smashed a finger with one. That really hurts. Smashing a finger, that is. It takes an 8.hour morning to warm a back yard, and since the sun reduces power at a slow pace after peak power, the influx of energy from the sun will overpower the leaving of thermal energy for a couple of hours into the afternoon barbecue. I feel like I’ve been taken to school – except that school was rarely as interesting as this! And thanks for linking to the PDF, Willis. Times like this a Kindley-type device would be useful! The seasonal lags for the ocean are about 82 days, freshwater lakes are about 49 days and land surfaces are 34 days. You can turn some of these equations into joules/m2/second. 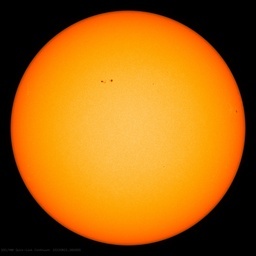 At the height of the day, the sun is shining in at something like 960.0 joules/m2/second, but the ground is accumulating that solar energy at an exceedingly tiny number; something like 0.007 joules/m2/second. Even though there is a lag of 2.6 hours, the rate that the energy is accumulating (and then leaves at night when the Sun goes down) is several orders of magnitude smaller. The lags are really very, very small rates of accumulation/net loss (small compared to how much the incoming energy changes over a 24 hour epriod.) It is big part of the picture; energy flows over time, that are not being addressed in the theory. In the parts of the envelope nearest the surface the thermometer rises and falls during each day. These diurnal variations cease to be sensible at a depth of 2 or 3 meters. Below this one can only observe annual variations, which themselves disappear deeper down. More coincidence? 1/8 = ½^3, so 3 degrees of freedom/dimensions. Thx for the D/L link and warning. 13 seconds on my ancient P4, 15 mbps, 518 pages. 😉 Compared to graphics and video files, kinda trivial. Interesting stuff Willis, the thought going through my mind is is “mama don’t take my Tautochrones away”. I wonder if the lag is also present in planetary Milankovitch cycles. If the load was purely conductive the temperature would be in phase with the forcing, i.e. a phase lag of 90º for a sinusoidal signal. For a purely capacitive load it would be 90º and for a purely diffusive load 45º. A spacial mix of mostly conductive and mostly capacitive loads will be somewhere between 0º and 45º but will vary somewhat with frequency. There is a file abstem3 (?) that contains all the gridded normals (the monthly climatology) for the Hadley temperature dataset. So it contains the average seasonal component so you can see how the phase varies around the world. The annual signal is cleanest at aroung 45 North or South where the semi-annual signal is weakest. You will see that the phase of the annual cycle varies quite a bit from ~25º in Mongolia (highly land locked in the direction of the prevailing wind) to ~70º near about 3/4 around the equator bound leg of each gyre. That is my memory serves me well. Out at Whitecliffs in western NSW is an entire community living underground. No artificial warming or heating and very pleasant abodes as well. Shows that humans can adapt to anything and that observation beats theory. We won’t have a few breeding pairs in the Artic after all, just dig. Of course rabbits, moles, wombats and meercats have known all about this for eons. A spatial mix of mostly conductive and mostly capacitive loads will be somewhere between 0º and 90º but will vary somewhat with frequency. If the load was purely conductive the temperature would be in phase with the forcing, i.e. a phase lag of 0º for a sinusoidal signal. I am sure you can sort it out. I usually search with google scholar, some time ago came across ‘Advances in Geophysics’ (google books) section ‘Atlantic air-sea interaction’ by J. Bjerknes, lot of interesting stuff in there. yeah, not somewhere where you want to be outside in the middle of a hot summer day, just lots of plies of heat absorbing and emmitting hard rock and rubble. Near zero moisture. Pretty close to being in an oven. I went there once, not interested in going again ! Willis, you might also want to do some reading on adobe construction. In a book on adobe construction I read many years ago they mentioned this thermal lag. It is actually central to determining the ideal thickness of the adobe wall to use in a home. If the wall is the right thickness the peak temperature thermal pulse will reach the interior surface of the adobe wall early in the morning when additional heating would be needed, and the cool thermal pulse from the early morning hours will reach the interior surface of the adobe wall during the heat of the day. At the proper thickness the wall acts as a thermal capacitor charging and discharging with a time constant that is exactly opposite of the exterior temperature cycle. This is why wine cellars interior temperatures approximate the ground temperature although the walls are only about 2 ft thick, they stabilize the interior temperature at the local annual average temperature. I was noticing the same thing if you look at the climate records for an area and find the historically hottest day of the year, you will find the local climatic time lag with respect to the summer solstice. The same applies to the historically coldest day of the year with regard to the winter solstice. I am sure that local micro climate and seasonal flow patterns will slightly shift the local climate cycle time lag slightly due to changes in prevailing wind directions and such but I doubt it differs more than a week or so for most locations on the surface of the earth. As far as thermal lags for water, you might also want to look into studies aimed at solar thermal storage ponds as they have lots of actual test data for how the water pool heats and cools and how that changes with depth. Highest water temperatures are achieved with relatively shallow water with a bottom that can be directly heated by the sunlight as there is less water being heated by the solar isolation in a relatively shallow body of water, than a deep water pool that is heated through out a considerable depth. Hurricane studies show this hot shallow water can partially compensate for land fall in swampy areas where the abundance of relatively hot water counter balances the normal cut off of heat supply to the hurricane at landfall. I have only skimmed over your material, downloaded this book and skimmed over the book’s table of contents. WHAT AN AMAZING BOOK. As is often the case these old meticulous efforts are really well done. Not to say that I do not dig into your work each time it appears and always take away new ideas and insights. I will be looking at your material again and this book again and again. Thanks for showing us this fantastic resource and of course all your interesting analysis. Nothing more to say right now than thanks again! Thanks, I going there now. Thanks Willis for this. My dog is smarter than most, he always digs a few inches into the sand where it is cooler before lying down on hot days too. I am curious as to why “pi” appears in an equation. I wonder about circles and stuff like that. I don’t understand why a temperature wave needs “pi” to determine a time when temperatures will reach such depth. The other element is a meter below the surface which to me represents the “frost line” below which I can bury my well’s water pipes and hope they don’t freeze during the winter. Is there something magical about three feet below the surface that represents a lag in temperature penetration? That is, during a normal winter, the temperature to freeze my well’s water pipes will not penetrate to the 3 foot level? Even a very cold surface temperature, just as long as the time lasts only a winter and not all year long? 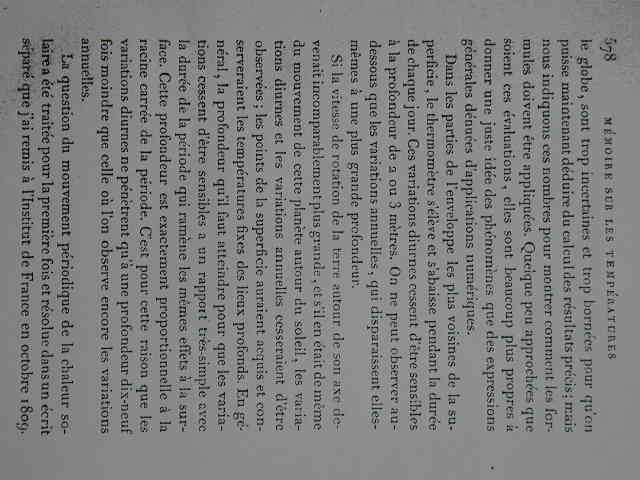 “How heat is transmitted through the Earth’s crust” is a complicated study and there is not much written about it since ‘Fourier 1824’. I have mentioned his writings before as I have learnt a lot from it and feel I shall have to re-read him. However originally I come from a place in the world which is positioned approximately 60 degrees north (60° N) and there, back in the 1940s, the yearly frost that solidified the ground reached down to approximately 2 metres (or meters as you may write it). – Well, that frost was thawed out by late May – early June. Of course it was the water in the soil and not the soil itself that froze solid during the winter. But, further north, in places where the rays from the Sun have less impact there is something else called “Permafrost” where the temperature of the soil is less than 0° C year after year. Wikipedia says the permafrost can reach as far down as 1493 meters (m), which is a heck of a depth. Here where I live now (around 50° N there is no permafrost at all and I can only assume it is all down to the Sun. I really must re-read Fourier – but – as you have started this line of study I shall be watching the progress with interest. And from a time when people understood visual display of quantitative information. What a gorgeous graph. There is also no accurate parametized supercomputer model of the oceans, ionosphere, trophosphere and gulf stream that has sub-routines for calculating the effect of incoming Solar winds/waves. Which is why most of the Nasa modeling scientists found themselves jobless in 2003. No, the mixing is also driven by thermal instabilities arising from the diurnal variation in heating in the vertical profile- one of the reasons the depth of the well-mixed layer varies with latitude. Well said Tim Ball, I would like to hear (read) more from you too! Pre Arrhenius that was correct thinking. Thanks for the link to the textbook, I will enjoy reading it if it is as empircal as you say. But I think you are missing a mechanism related to the atmosphere – I assume that is you point mentioning CERES? – that is not really present for solids. yes, they are perfect for tight places – but not the way to put in 6000 nails per day. The cold nights in the desert are due to minimal clouds, not water vapor directly. Direct radiation to space is fairly efficient for cooling without clouds. Net radiation heat transfer via the absorption and radiation of greenhouse gases is only a small portion of the heat transferred from the ground upwards. Convection and direct radiation are larger. Here in Utah in the summer, we don’t typically hit maximum temperature until late in the day. Sometimes as late as 6:00 pm. I wonder why the lag is almost twice what it should be. seem to show the day to night variation only significantly affects the upper few m of the surface. There would be some overturning to that depth, but that is not the main mixing source compared to wind, and currents, which mixes to sever hundred m.
I have wondered the same thing. In doing thought experiments on the subject, I think the behavior would have considerable hysteresis. For example, as insolation increases the ice is going to melt but there is a lot of it. It takes a while to melt thousands of feet of ice. Melting ice just exposes more underlying ice so while polar insolation is high, so is albedo. Earth probably goes through a phase of increased net cooling because more of the sun’s energy is now falling on ice when the pole wobbles so it points more directly at the sun. And this is exactly what we see. The coldest portion of the ice ages seems to be right before “breakout” from them. I am assuming for this thought experiment that for albedo purposes, it doesn’t matter if you have a mile of ice or a yard, the albedo is the same. That is until the surface starts to become exposed and at that point things should warm very rapidly. Now, at the same time this is going on, as the ice is melting from the North American continent, the rotational pole is moving slowly Northward. This is effectively moving the edge of North American ice Southward causing it to melt even faster. At the LGM, the rotational pole would have been at about the Northern edge of Ellesmere Island due to mass distribution and wobble might have been a lot different, too. But in any case, once more of North America becomes ice-free and once ocean begins to flood into much of the part of Northern Europe that is now submerged, albedo begins a hasty decline. This causes even faster migration of the rotational pole until finally it is where it is now. So even though the ice regime might change from accumulation to ablation, it is going to take a long time to melt trough 5,000 feet of ice at Chicago. So while the insolation is increasing, the albedo remains about the same and this causes an increase in net energy reflection into space until that ice is gone and the muddy, rocky, lifeless surface is exposed again which rapidly heats in the sun. I agree there is a lot of interesting stuff in that. It stopped at page 70 and I then wanted to begin again at pg 84. There is a lot on ocean currents and temp / heat if anyone is interested. Understand the Gulf Stream. That was particulary interesting; 3000 ft of warm water. Surprising origin/feed. Copywrite 1964 when science was just that, science. Now it’s time for Willis’ recommended book. Long night ahead. Very interesting, Willis. This brings to mind fractals. As always, I look forward to reading your musings. Wow. 20 C temp drop over ~90 min and then a corresponding increase. I have not seen that graph. It seems to me that it should be stated as “free to circulate physically” rather than your statement; “free to circulate thermally”. Though it does do that as well. Thanks, gnomish. I’m not sure of the parallel, as diffusivity is measured in m2 sec-1. It is thermal conductivity divided by thermal capacity. Thermal capacity is the bulk density times the specific heat. You are using non-linear models. I am aghast! Thanks, ShrNfr, I’ve noted it in the head post. I am glad Willis is doing this, but it is too little too late. You probably didn’t mean it as it is written but insolation and sand type have much more to do with hot sand than air temperature. What an outstanding posting! All true science begins not – as too often today – with “I believe”, but with “I observe” followed by “I wonder”. Willis Eschenbach observed that the time-lags of the diurnal and annual temperature cycles were a near-identical fraction of the cycle length and wondered whether they might be connected. It is, as he says, a lovely result, As the Italians say of all glittering hypotheses such as this, “Se non e vero, e ben trovato”. How I long for the day when science is once again done just as Willis does it – by observing, measuring, counting, wondering, and then applying established theory to the results so as to establish a refinement of the theory, or even a new theory altogether. Before the Age of Reason, science was too often subordinated to the party line promulgated by the governing class. After it, we are back to the Middle Ages, and the party line is rebranded as a “consensus”. If we lose the use of reason because we become too terrified of reputational damage to question the party line, we lose the West, and we lose that glorious faculty, unique in the visible creation, that separates us most clearly from our fellow-creatures and unites us most closely to our Creator. Without reason, we are no longer human, and we no longer approach the divine. For as long as men of learning, of enthusiasm and of curiosity like Willis Eschenbach dare to ask, “I wonder” when others are chanting “I believe”, there is still hope. It is postings like his that make WattsUpWithThat the unmissable phenomenon that it has deservedly become. Well said Mr Ball. We can only hope that the lag isn’t overly extended. The Global Socialists and Ecofascists have damaged the cause of science, of that there is no doubt…. But it isn’t the first time that science has been corrupted, nor will it be the last. However, as long as there are enquiring minds, good science will be done. I also saw the reports of the very rapid temperature drops during totality of eclipses. It is apparently a sharp enough chill that eclipse watchers are recommended to bring a jacket even in warm environments. It also implies a radiation rate for heat loss. In dry climates the temperature climb from the evening low to the peak temp of the day is typically less than 30 deg F (17 deg C), which is comparable to the heat loss shown in only the time duration of the progression into totality. Re: Time lags and cycle lengths – I’ve written comments like the following since 2008. Then there is the much longer ~~800 year lag of CO2 after T (as measured in ice cores), which I suspect is associated with the upwelling of deep ocean currents. Note that ~800 years ago was the Medieval Warm Period. ~9 months in a ~4-5 year (El Nino?) cycle is closer to ~1/6. But then, 1/8 of one Wolf-Gleissberg Cycle is ~one Solar Cycle. And didn’t I read something recently that involved a lag of ~one Solar Cycle? 1. It is standard practice at synoptic climate stations to measure soil temperature at different depths down to about 1 to 1.5 m.
2. In hydrological modelling the effect of soil heat flux is well known. During spring evaporation rates are lower than calculated from meteorological data, as soils warms up. During autumn the rates are higher as the soil gives up its heat. I’m having a difficult time conceptualizing the shape of the diurnal temperature cycle. It can’t be sinusoidal right? Sun comes up, reaches a peak, sets…. But At night, radiation drops to zero and remains at zero till morning. Maybe I’ll go back and take a closer look at the temperature plot posted earlier during an eclipse. You can only define a lag time (or phase lag) if you have a cyclic (essentially sinusoidal) change since this produces a responce of similar forn to the driving force. The responce to a step change is an exponential. You cannot define a phase or time lag in the same but this is still a lagged response. It may be interesting to look at the tropical zone as gopal panicker suggests. The equator has 6 month cycle with geometrical maxima at the equinoxes , not 12m as it is outside the tropics, so this may be an interesting test of your 1/8 lag. I used to tell my students a lab experiment would prove insolation doesn’t penetrate far into the ground by quickly pulling up worms and measuring how quickly they reacted by blinking. Did you also tell them that, if they pronounced “gullible” very slowly, it rhymed with “orange”? Willis, I have two words for you that might provide answers to your observations – Thermal Conductivity. It involves a time quotient which can be used to explain your observations. As an engineer, I have been involved in Thermodynamics on a real world level for most of my adult life, and it amazes me that most of these ‘scientists’ involved in climatological studies ignore,dismiss, or attempt to refute the laws of Thermodynamics – a science in its own right which is centered on the study and use of heat. Thermodynamics is, in a large way, related to Climatology; for example it relies on models to predict the effect of temperature differences, heating and cooling, and energy differences. The big difference is that the models in Thermodynamics accurately predict the outcomes while the Climatological models have yet to predict an accurate outcome. One of the big failings of the models in climatology, from my perspective, is that they refuse to look at the problem from a thermodynamic point of view. If you look at the climate as a gigantic and extremely complex heat engine, I believe you will be better able to predict the outcomes of any changes in climate. For example, saying that global warming will cause extreme weather conditions is a fallacy from a thermodynamic perspective because the amount of work you can get out of a heat engine is based on the difference between the ‘hot’ side and the ‘cold’ side. In other words what is the temperature difference across a weather front – that will determine how violent the storms will be. The interesting thing is that for meteorologists the thermodynamic point of view is more valid than the climatological viewpoint. Climatology can produce models which will accurately predict climate change, but until they go through all the experimental challenges that Thermodynamics went through, adopt proper scientific methodology, and take into effect all the extra complexities involved instead of getting dragged into political decisions they rank no more higher than a Cult in my opinion. I think there can be no difference between a steady slow increase and a cycle of infinite length. This result in eqn 4 is not so surprising as it appears to be at first. The diffusivity and depth are what determines the ratio of s and s1 so the latter quantites are sufficient and result from the physical, thermal properties of the medium. The model is simple so the result is simple. It all assumes a homogenous diffusivity throughout the depth profile of course. Your observation that this 1/8 cycle lag ( phase lag = pi/4 ) seems to apply at very different scales is notable. Looking at how different SST is from pi/4 may give some indication of how feedbacks make it differ from this passive material model. Another thought provoking post from Willis. Many thanks. The reason for that phase lag is that even when the driving force has passed its maximum (noon for example) it is still well above the cycle mean and remains above it for a full quarter of a cycle. The max temperature will lie somewhere between the point of max driving force and the point at which if falls to the cycle mean. Just where in this interval it lies, depends of the restoring forces cooling the system and the intertia (thermal in this case) of the system. Similar arguments show why it’s coldest in mid Feb not 21st December (NH). Thanks Willis. Reminds me of the time I was based in South West Africa, a few miles north of the Orange River on the edge of the Namib Desert. I became interested in astronomy and used to walk out into the desert at night and scoop a shallow trench to lie in. Much cooler for observing the stars above. I was warned about scorpions but I knew from past experience regular doses of whiskey would keep all insects away. When considering the extent of so called GHG warming (said to be about 33degC), I question the correctness of assessimg ocean temperature solely on the basis of SST and not taking account of the average temperature of the ocean. After about 4 billion years of heat input from the sun and ocean over turning, the deep ocean is only about 4 degC. This is material. If ocean temperature was more uniform (say if the deep and mid oceans were nearer the range of 12 to 15 degC), the prospects for ice ages would greatly diminish. The temperature of the deep ocean comes back to bite and permits the development of ice ages. This is an interesting article and something I’ve been thinking about for some time. The daily variation tells me two things. First is the lag, and secondly the rate. If we look at the rate of cooling after the sun sets, is quite rapid. I take that as meaning that the earth responds very quickly to changes in the heat input. Now looking at the lag after the solstice, I’m hard pushed to explain why there should be a lag, when the response to energy inputs must be fast, for the day night variation to be as it is. And yet Trenberth and the Team would have one believe that DWLWIR is greater than solar irradiance. Funny that all those GHGs didn’t keep and maintain temperatures up for very long. After about 4 billion years of heat input from the sun and ocean over turning, the deep ocean is only about 4 degC. Since the Earth and oceans started off much hotter, I would have thought you’d realise there must be some other reason for the deep ocean being at 4 degC. Thanks for your post. Interesting. But the earth is never in thermal equilibrium is it. The sun is rising and setting. Night follows day. A cyclic system is never at equilibrium by the very nature of the cycles. Yeah, I suspect that the heating of the earth from the sun since about 1750 when we came out of LIA, would have a time lag equivalent about the same as the seasons and diurnally, that is about 25% of the heating of the system (about 6 weeks after the summer solstice, about 2-3 hours after noon). So if the sun increased its output to the earth from ~1750 to ~1950, 25% of 200 years is about 50 years so the temperature might stablise about the year 2000. Temperature has been stable since 2000. It would be interesting to see the tautochrones for the moon. Apollo 15 & 17 missions placed regolith heat transfer experiments with temp probes at regular intervals between surface and up to 3 meters (or as deep as they could drill). The experiments radioed data back to earth for 4 years. Last I checked some sort of SNAFU at NASA.com had made the experiment data unavailable but it was there a year or two ago and available to the public. The sun is visible all day, varying from 2° above the horizon at 3:00am to 43° above the horizon at 2:50pm, which is solar noon. The coolest hours of the day are from 4am to 9am with the coldest at 7am, at which time the temperature is below 3°C three days out of four. The warmest hours of the day are from 1pm to 8pm with the hottest at 5pm, at which time the temperature is above 3°C three days out of four. The median cloud cover ranges from partly cloudy (65%) to mostly cloudy (85%). At clearest time, the 2am of the day, the sky is clear, mostly clear, or partly cloudy 6% of the time, and overcast or mostly cloudy 11% of the time. At cloudiest time, the 10am of the day, the sky is overcast, mostly cloudy, or partly cloudy 65% of the time, and clear or mostly clear 23% of the time. The sky is typically clearing in earnest by 9pm. If that is the case, then since the quoted lag was over a month for the annual solar effect, the prediction for the day night variation should be negligable. When the sun goes down, it should take over a month for the effect to be felt. Since it doesn’t there must be another reason for the longer annual lag. Willis, another very interesting post – hammering the nails is obviously good for the grey matter. What would the tautochrones look like in the mirror image ie the atmosphere? Does the lapse rate rule supreme? I guess the difference is that the earth/soil/sand remains fairly constant in composure whereas the atmosphere is ever changing. So the atmospheric tautochrones would also be ever changing. Amybody ever measure the back radiation during an eclipse? Should be the same, All the sky is visible. But it is the lack of direct heating that causes any temp drop. I’ve been mulling over the various time lags in the earth’s system For example, the peak temperature during the day doesn’t occur until about three hours after noon, and the hottest months of the summer are about a month and a half after the summer solstice. I’m not sure that these should necessarily be called lags. The sun’s EM energy is strong enough to continue heating the earth’s surface until 3pm during the day and until August (in the northern hemisphere) during the year. So, while maximum temperatures of the earth’s surface doesn’t occur at the same time as the maximum EM radiation from the sun, I wouldn’t necessarily use the term lag to describe this. About a year ago, Anthony used the example of a pot on a stove. The pot will heat while the burner is slowly turned up to maximum, and the pot will continue to heat even after the maximum flame is reached and the burner is slowly turned down. As I frequently do after reading an interesting post such as yours, I follow the comments and then reread the original post. Often the comments will lead to a much greater insight into many other and broader depths of knowledge that are related yet vary somewhat from the main points presented in the primary article. That is what makes WUWT the success it has become. From those of us with a little common sense (and a hammer 😉 we can relate very well with the way you present your rationales and observations. I guess that time lags of the ground heating/cooling is right before our eyes and would relate to common sense. You have called our attention to the obvious. But the greater good is that you have quantified the lapse rates to a degree which focused our attention on the obvious that we took for granted. We see your reasoning as you approach the issue which is in the same way we would do so. It helps/makes us understand. You are the one who shows us the obvious. You do a very good job in that respect and I thank you sincerely. I downloaded the free edition of Rudolph Geiger’s much-updated 1927 classic, “The Climate Near The Ground” but didn’t stay much on topic as there was a lot of interesting stuff to look at. Science was so different then. It was real. If not lags, just what would you call it? Peak temperature lagging maximum solar input sounds like a lag to me. It might be interesting to see if a diurnal signal can be picked out of the ARGO surface data. I tried to pick one out from the Norwegian Sea in June when there’s 24 hours sunlight, but did not succeed. If the ARGO floats make multiple observations for each surfacing then someone might be able to detect a signal using first differences. What this speculative discussion fails to take into account is the difference between temperature cycles in a particular place (caused by the Earth’s rotation, its orbit, and seasonal movements of air masses and ocean currents) and the overall energy balance of the planet, i.e. the total amount of heat energy stored by the atmosphere, land and oceans. There are, in fact, regular cycles in the overall energy balance of the planet: they are called Milankovitch cycles, caused by orbital and rotational eccentricities of the Earth. There is no evidence that the heat energy balance of the entire planet also fluctuates on a 60-year cycle, nor is there any known physical mechanism that would cause such a cycle to exist. Otherwise, this discussion is quite interesting. I’m reminded of partial differential equations (with boundary values) some 25 years ago. Heat equation comes to mind. Is the above analysis seemingly derived from deductive reasoning simply a special case of the heat equation? I might wager it is…but alas, it’s been too long to take a stand. Anyone care to help an aging person reminisce? Isn’t this because this is a MODEL and so only an approximation of reality? Thanks, HR, good question. No, it’s not because it’s a model, that’s the curious and surprising part. It is inherent in the nature of what’s going on. The key issue is that no matter what physical material the temperature wave is flowing in, it flows out at exactly the same speed that it flows in. As a result, it will take the same fraction of a cycle to get to a thermal wave that is, e.g., half the size of the wave at the surface. So why are there different rates for diurnal, and annual? That’s the claim over the lags. The results that you quote are simply a solution of the heat equation. If you are willing to really get into the weeds, find a copy of “Partial Differential Equations in Physics” by Arnold Sommerfeld. Section 14 is devoted to “The Problem of the Earth’s Temperature” with the full solution given by equation 14.7 that gives temperature versus depth, x, as an infinite sum of partial waves. “We see that the amplitude C_n of the n-th partial wave is damped exponentially with increasing depth x, and that this damping increases with increasing n. At the same time the phase of the partial wave is retarded increasingly with increasing x and n”. Note that a daily forcing, T small and q_n large, will penetrate much less than an annual forcing, T large and q_n small. You can apply the same analysis to the heating and cooling of a pure N2-O2 earth atmosphere, but upside down with the heating occuring at the earth’s surface and with the much smaller thermal diffusivity of the air (assuming no convection, a very big assumption!). “Thanks for your post. Interesting. No John, The sun is not rising and setting! – It’s warming the Earth equally, or near so, 24 hours per day, however that does not mean the planet receives energy equally from all directions as is necessary for Blackbody calculations. It is the Earth that turns around its own axis thus presenting itself to the Sun with a “forever changing” absorption-rate. The Equatorial areas of the Sun and the Earth are ‘roughly’ in line. I just clicked on: http://www.shadowchaser.demon.co.uk/eclipse/2006/thermochron.gif and all I got was a page displaying: “This site is unavailable because it is too busy.” Well, well, well –Watts up with that? There’s certainly a “lag” from peak solar radiation to peak temperature. However, there isn’t a lag from “sufficient solar radiation to cause warming” to peak temperature. I generally think of lags as the time it takes for something to have an effect. For example, the time it takes for a piece of electronics to react to a button press. Or the amount of time it takes to get a doctor to call you back after leaving a message. The lag is the time elapsed between input and result. In the case of solar warming, input is continuous until peak temperature is reached so there is no lag between input and reaction. buy a text book instead of reinventing the wheel yourself. try eg Geodynamics by Turcotte and Schubert. Well, I don’t know about “Geodynamics” but the site you specified doesn’t show the derivation I show above. It doesn’t show anything near that derivation. If you want to accuse me of reinventing the wheel, show me the previous wheel. All you’ve shown me are the general equations. You have not pointed to a source where it shows that the diffusivity drops out of the equation so that the solution is applicable to any kind of ground, rock or sand or whatever. Finally, if you can find the derivation I show above, show me where someone uses that derivation in discussing the climate and relates it to the similar lags between monthly and daily temperature swings. Because that’s what I’ve done here. Show me where it has been done before. More to the point … so what? I mean, suppose you find some obscure text where someone has done all of that … so what? I derived what I derived above on my own, I’m happy with it, and I’m bringing that to a public forum to discuss it. Now you want to turn that into a bad thing and accuse me of “reinventing the wheel” … don’t you have anything positive you could be doing, instead of sniping at people who are actually accomplishing something? Can’t you serve up something other than sour grapes? OK, fine, Hans, so you’re one of the good folks who knew it all along … who cares? Lead, follow, or get out of the way, your easy jibes about “reinventing the wheel” and “buy a text book” go nowhere. If you understand this all so well, take it the next step, pitch in, lend a hand, move it further along. Hans, one further thing. When I get the comments like ‘someone has done that before’ or ‘it’s in textbook X’, to me that is merely a reaffirmation that I’m on the right path. I find it to be much more valuable to struggle along and figure things out for myself that it is to have it all spoon-fed to me by some text. I like having what the Zen Buddhists call “beginners mind”, free of textbook preconceptions and the dictates of the consensus. Not that I’m dissing textbooks, you’ll note my paean to Geiger above … but I work outside of them, not through them. Now, clearly, this is not how most folks operate, but I’m a self-taught scientist. In college I took exactly two semesters of physics 101 and two semesters of chemistry 101 and one semester of calculus. That is the entirety of my scientific education. I’ve had to teach myself everything I know, and at the same time work for a living. Which means that I don’t have the leisure that you might have to go buy a textbook and spend three weeks digging to the bottom of it. So I learn what I can, where I can, and I try to relate it to everything else that I know and make sense of it. I’m the ultimate generalist, both in my work habits and in my scientific investigations. Look at the huge range of subjects that my essays have covered, utilizing my unusual method of investigation. And you know what? And sometimes they do destroy my ideas, they find errors large or small, and I suffer a very public smackdown … but that’s the price I’m willing to pay to know that my other ideas, the ones people couldn’t destroy, the ones nobody could find a flaw in, are strong and valid. And knowing that makes me kinda impervious to guys like yourself who want to belittle what I’ve done, who try to patronize me and tell me to buy a book … I know the value of my ideas, Hans, I’ve tested them in the fire. Hans Erren, I looked at that site (yours?) and if your cycle/time ‘x’ axis is correct then all of you gradients are leaning to the left (deeper – earlier) and should be leaning to the right (deeper – later). Right? Or am I missing something? Seems just a set of equations can be dangerous if not applied correctly and leads you to wrong conclusions. The danger is because they came from your beloved text, therefore the equations are correct, You then tend to assume results from those equations are, of course, correct and that can be very wrong. Seems probably just a flipped sign. Easy to do. Willis, I think you might have flipped a sign. You took equation two, substituted into three, but two is negative and the ‘z’ in three is negative and seems your 1/2π (0.159) in four ends up positive. If that correct it’s no problem here, I’m human too and have that slip occur regularly. Seems more the s2/s1 should have been s1/s2 to make eq. 2 positive, for it seems do want log(1/2) in the eq. 4. But now to the substance. I downloaded the Geiger book, have read about a hundred pages and that is a well needed breath of fresh air. I’ll enjoy that one, thanks. I follow you up to equation four, then I lose the logic, the sign doesn’t bother me, the result 0.11 doesn’t bother me, I have tracked that lag here at my home over the last two summers and I was getting ~0.108, basically a match. But, equation three says if the depth ‘z’ is zero then the lag ‘t1’ is also zero. Right? This was Geiger saying the first part of the chapter was theoretical and he ends right after showing the actual empirical tautochron relation where you then expand. What’s you logic going from half gradient magnitude ratio across a depth in the soil to the temporal lag at the surface. I’ve tried but can’t seem to find your logical tie between the two and you don’t go very deep right at that point. Can you clarify? The reason I ask these picky points is this plays directly into a global energy relationship I have working on (on and off) for a couple of months now, and thanks for the link to Geiger’s book, it holds some estimate numbers I’ve been looking for and it does have included a relation to lags also. At http://wattsupwiththat.com/2012/06/19/a-demonstration-of-negative-climate-sensitivity/#comment-1013667 I flailed about reinventing what’s set forth better in the link Hans Erren provided. But it remains to provide a solution to the boundary condition set forth at http://wattsupwiththat.com/2012/06/19/a-demonstration-of-negative-climate-sensitivity/#comment-1014451. If any of you could provide one, that would be great. Willis: While these equations show how the time lag changes as you go down in a solid surface, I think the more relevant equations for the sort of time lags that you are interested in for the climate system is to start looking instead at box models for the climate system. C*dT/dt = F(t) – lambda*T.
Here, T is the temperature, t is time, C is the heat capacity (the specific heat times mass) of the system, lambda is a constant with 1/lambda equal to the climate sensitivity, and F(t) is the forcing vs time. If you have a periodic sinusoidal forcing of angular frequency omega and amplitude F_0, then F(t) = F_0*cos(omega*t). These equations can be solved exactly in the long-time limit and the result that one gets is that the time lag varies as a function of omega*tau where the time constant tau = C/lambda. The easiest way to write the solution is that T(t) = the real part of (F_0/lambda)*exp(i*omega*t) / (1 + i*omega*t) where i is the square root of -1. When omega*tau is much less than 1, the temperature response is roughly in phase with the forcing; when omega*tau is much greater than 1, the temperature response lags the forcing by pi/2, i.e., a quarter of a cycle. And, of course, for in-between values of omega*tau, you get a lag somewhere in between 0 and 1/4 of a cycle. This result makes sense: If the system has a very small heat capacity, the temperature is basically just proportional to the current value of the forcing. If the system has a very large heat capacity, then the temperature increases when the forcing is above its time-average value and decreases when the forcing is below its time-average value. With a two (or more)-box model, as is presumably necessary to realistically model the Earth’s climate system, things are more complicated. However, I think it is still true that the time lag will be somewhere between 0 and 1/4 of a cycle. As a correction to what I wrote above, T is the temperature anomaly, not the absolute temperature.